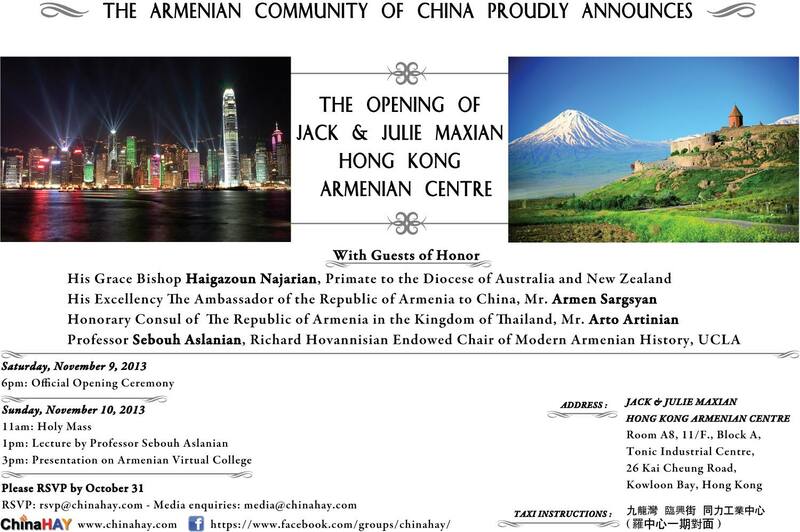 The opening of Max and Julie Maxian Honk Kong Armenian center. Max and Julie Maxian Honk Kong Armenian center. a shout out from Lubbock Texas! Just wanted to say keep up the excellent job!